FluxLight's SFP-10G-LR is a Cisco® compatible 10GBase SFP+ Optical Transceiver and is factory pre-programmed with all the necessary configuration data for seamless network integration. Our transceivers perform identically to Cisco® original transceivers and are 100% compatible with other OEM and third party transceivers. The SFP-10G-LR Cisco SFP connector is 100% MSA (Multi-Source Agreement) compliant. All FluxLight's transceivers are tested for 100% functionality and guaranteed compatible for outstanding network performance. The low-latency network architecture for campus networks is a two-tiered arrangement consisting of Access and Backbone switches, as depicted in the figure below. The rates of the various links and the size of the switches will vary depending on the size and topology of the campus. 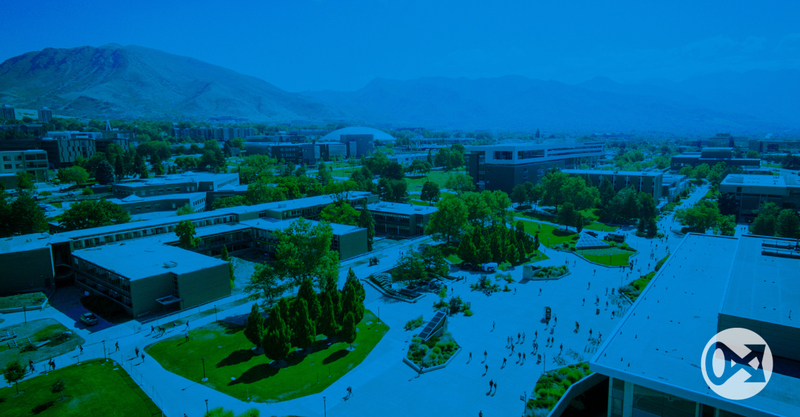 Many current campus designs utilized 1GbE (1Gbps Ethernet) downlinks off the Access switches. This links typically connect to Wireless Access Points (APs), workstations, storage devices and the like. These links may be copper, 10/100/1000Base-T, or fiber. Depending on the distance required between the Access switch and whatever is being connected, these fiber links may be Single Mode (SMF) or Multimode (MMF). The links between the Access and Backbone switches are typically 10GbE and the interlinks between Backbone switches, 40G or 100G. The Access-Backbone links are usually 100% fiber and generally single mode. 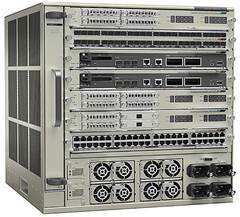 Cisco has a number of switch series designed for campus applications. They offer what they refer to as “baseline” switches which tend to be lower priced but with reduced feature sets. They also offer two “full-featured” switch alternatives. The Catalyst 9000 series is Cisco’s most full featured product line but is the most expensive and taking advantage of all those features requires an end-to-end all Cisco network. In this example the middle choice, a switch line with most of the important features required on most campuses (1/10/40G Ethernet services, advanced security, MPLS, integrated analytics, advanced wireless AP management) is selected. The specific access and backbone switches selected are described below. To create access switch two models from the Catalyst 3850 platform are selected, the WS-C3850-12S and the WS-3850-24XU. These two switches can be “stacked” using Cisco’s proprietary stacking cable technology. Both these switches are available dual redundant power supplies. To add the 10GbE uplinks mentioned in the Architecture section above, “Network Modules” must be used. These modules plug into the rear of the two switches. In this design the C3850-NM-8-10G network module is used. This module includes 8 SFP+ slots into which a wide full range of 10GbE SFP+ optical transceiver modules may be installed including: SFP-10G-SR, SFP-10G-LR, SFP-10G-ER and SFP-10G-ZR. The WS-C3850-12S includes 12 SFP slots. These slots may be equipped with a wide range of optical transceivers, including: 100Mbps GLC-GE-100FX, 1GbE GLC-SX-SMD GLC-LH-SMD GLC-EX-SMD and copper 10/100/1000Mbps GLC-TE. This switch includes 24 Universal Power over Ethernet (UPOE) ports. 60 watts per port of power allows this switch to support a wide variety of endpoints with uninterrupted power without the need to have a power outlet at every subtending device location. Catalyst 6807-XL Modular Switches will be used as the backbone in this example. This modular switch chassis itself can deliver up to 11.4 terabits per second (Tbps) of total system bandwidth, with up to 440 Gbps per slot. However, the current generation of available line cards support a maximum of 160 Gbps per slot. The switch is designed for high-availability with redundant supervisor engines and N+1 power supply redundancy as well as redundant fans. The variety of core modules that must be equipped in the chassis including, Supervisory Engines, Power Supplies and Fans, will not be described in detail here. 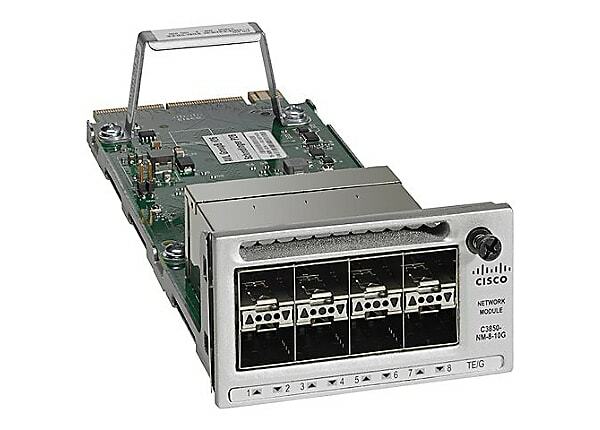 The 10GbE interface module selected is the C6800-16P10G-XL. This is a 16-port 10-Gigabit Ethernet Fiber module, each port of which may be equipped with a full range of SFP+ modules. In this example we will be equipping 10GBASE-LR SFP+ optical transceivers, specifically the SFP-10G-LR. Being a campus network, the links between Access and Backbone switches are invariably single mode fiber as the distances are simply too great to consider multimode, especially at rates of 10Gbps. Therefore, the optical transceiver selected in this example is a 10GBASE-LR type capable of 10Gbps transmission over distances up to 10km (6.2 miles) of standard single mode fiber. The specific FluxLight part number is SFP-10G-LR. In some campus environments, such as one including remote (e.g. cross town) branches, an access switch may be located in excess of 10km of the backbone switches. 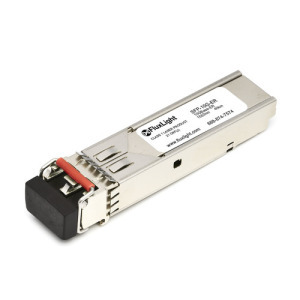 In such cases, FluxLight’s SFP-10G-ER may be used as it supports 10Gbps connectivity over single mode fiber links up to 40km (almost 25 miles). In this idealized campus network, putting it all together is fairly straightforward. Of course, in real life, there are many considerations and trade-offs. Starting with the backbone switches, the two (or more Catalyst 6807-XL switches should be placed in separate locations, preferably in separate buildings for survivability reasons. Into each 6807-XL as sufficient number of C6800-16P10G-XL 16 port 10GbE modules are installed. Into each of the SFP+ slots a FluxLight SFP-10G-LR SFP+ optical transceiver is inserted. As mentioned above, if there are any link to Access switches long than approximately 10 kilometers, FluxLight’s SFP-10G-ER may be used. At selected locations around the campus the WS-C3850 switches are installed. In our description an 8-port 10GbE module is installed in the WS-C3850 stack. If more capacity is required, it is possible to arrange for additional network modules (2-port, 4-port or 8-port 10GbE) modules to be installed. If less capacity is required, a single 2-port or 4-port module could be used. If two backbone Catalyst 6807-XL switches are used, for high network availability half of the 10GbE connections from each Access WS-C3850 switch should home to one 6807-XL and half to the other. These two groups of 10GbE links should be physically routed in disparate paths to avoid unfortunate events like a digging accident from interrupting both groups of links. Using this approach will allow almost all single faults to do no more than reduce (by a maximum of 50%) the Access-Backbone capacity and not cause a complete outage at any site. 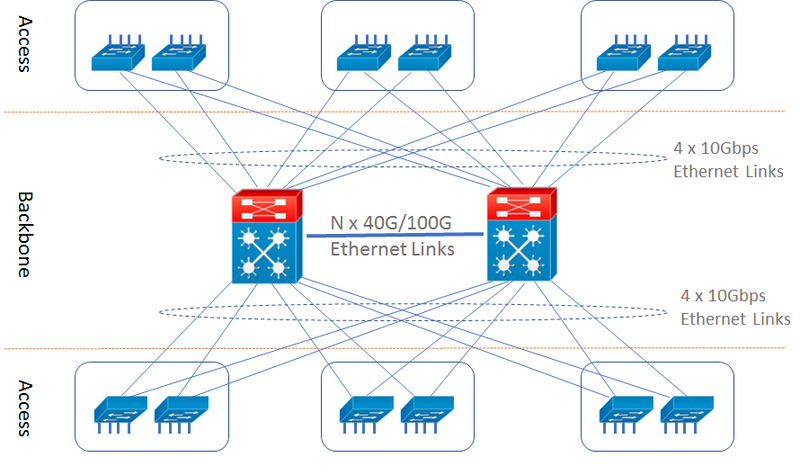 To complete the connectivity picture, a number of 40G or 100G links are implemented between the Catalyst 6807-XL switches. The backbone switches are not co-located, single-mode 40G or 100G transceivers are used, for example, the QSFP-40G-LR4 and QSFP-100G-LR4, respectively. The connections should connect each of these switches to all other backbone switches. This method completes the high-availability mesh architecture. Cisco SFP-10G-LR is supported on a wide range of Cisco equipment.